Making private deals on cars often saves money for the buyer and makes more for the seller. Trading cars privately may result in a better deal for both parties since often a private seller will price a vehicle lower than a dealer would for the same car, even though that amount is more than the seller would get as a trade-in from a dealer. Knowing the rules and regulations of private car sales can help simplify the transaction and help both parties feel satisfied with the deal. How to go about the trade depends on where both the buyer and seller live. When trading cars privately, it is important that both the buyer and seller check with the department of motor vehicles in the state of residence. Should the buyer and seller live in different states, regulations from both jurisdictions need to be considered since laws vary from state to state. When selling a car privately, the seller needs to know whether the state department of motor vehicles requires immediate notification that the vehicle has changed ownership. For example, in the state of Wisconsin no notification from the seller is necessary and there are no special state-required forms to complete. However, the buyer must immediately apply for a title certificate. Conversely, in California, the seller must notify the state DMV within five days of the sale. It is suggested that to protect the liability of the seller, a Notice of Transfer and Release of Liability form be completed. The California DMV then updates ownership records and the buyer has 10 days from the date of sale to report the transfer. Different states have varied, yet specific requirements for both buyers and sellers. 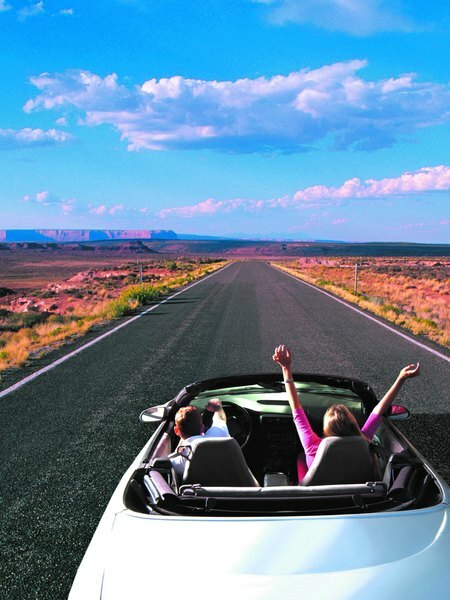 Most states require drivers to maintain car insurance or some form of financial responsibility. In the majority of jurisdictions car insurance is the requirement. Some states also require insurance to be contracted in the state where the car is transferred. For example, Michigan will not accept an out-of-state policy as proof of insurance. However, with larger insurance companies that conduct business across multiple states, separate licenses to sell insurance policies are maintained in each jurisdiction. Regardless of where a car is bought or sold, when a trade takes place between two private individuals, if the two go together to the appropriate agency, such as the DMV or local branch of the secretary of state's office and conduct the ownership transfer accordingly, it reduces the chance of future problems with the transaction. For example, in the state of Kentucky vehicles are transferred locally at the county clerk's office. Proof of insurance is required before the clerk will transfer the title. Before applying for transfer, the buyer must speak with an insurance agent and obtain coverage on the car. The buyer and seller can then take proof of the buyer's insurance along with the seller's original title of ownership to the clerk's office and sign and transfer ownership in the presence of the clerk. A new certificate of registration showing the buyer's ownership is immediately issued after appropriate fees and taxes are paid. The seller is immediately released from liability for the vehicle and the transaction is completed. Do You Pay Sales Tax on Game Show Prizes?